Since 2014, Chrome has featured a delightful little time waster that kicks in when your device doesn't have internet access. 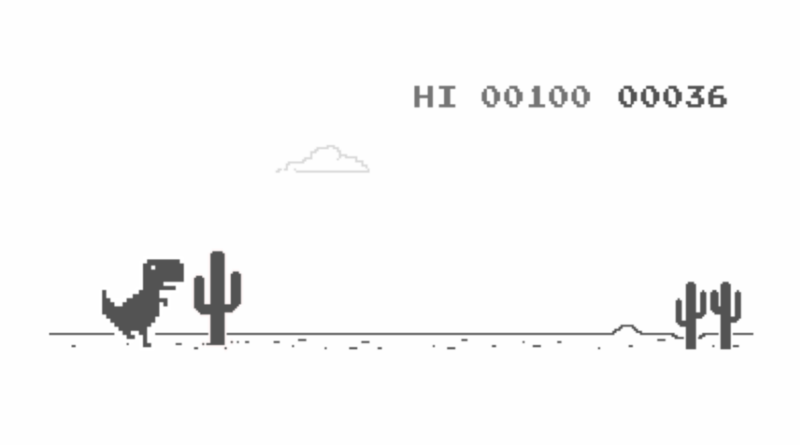 It's a game featuring a dinosaur that hops over cacti (and, eventually, other dinosaurs), in which your score increases as you progress through a pixelated desert. Until recently, that score was lost when you stopped playing, but as of Chrome version 72, it's finally saved — and it even syncs between your devices. Picking up speed and using lightning reflexes to attain a four- or five-figure high score can be thrilling, but it's all for naught if that score doesn't persist (unless you take a screenshot, I guess). This was surely one of the biggest problems with Chrome, so it's great to see it addressed after all these years. That HI score will persist across devices as of Chrome v72. Chrome Canary is currently on version 72; the fix will come to friendlier versions of the browser later on. Is it worth downloading an unstable browser to get it early? Hard yes. Scores should sync on all platforms except iOS; you can grab the desktop version of Canary here, or head to the Play Store to get it on Android. After that, set your devices to airplane mode and get hoppin'. Just remember to turn internet access back on when you're done so your score can sync.